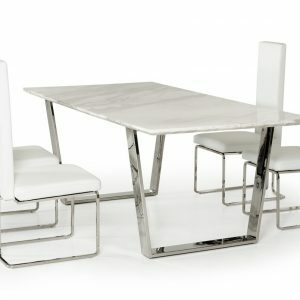 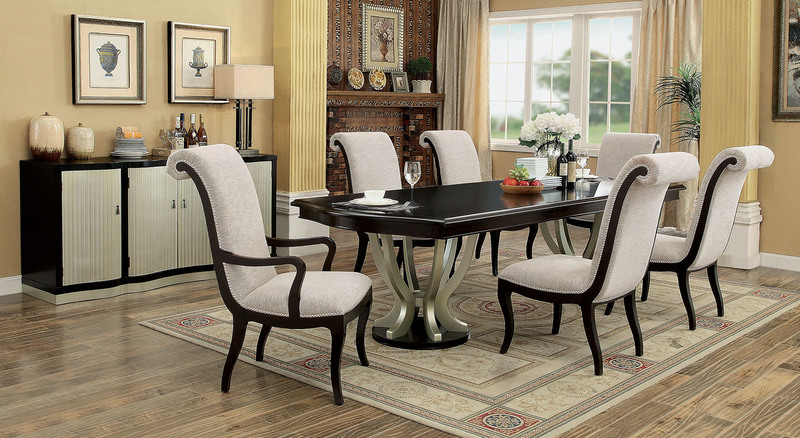 Lighten up any dining room without compromising formal elegance! 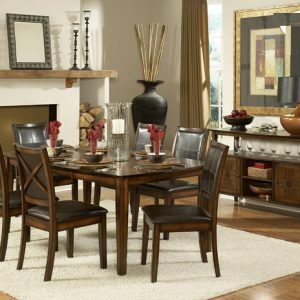 This lovely dining table brings traditional and contemporary together to create an chic piece that will really dress up your dining space. 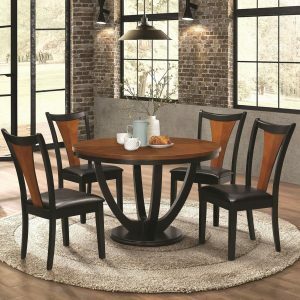 Gently curving legs come together to create a double pedestal base that pairs beautifully with the spacious espresso table top. 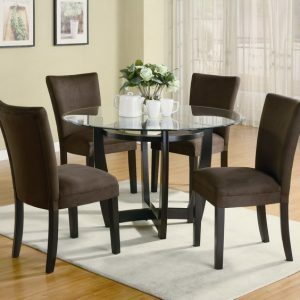 No need to worry if the guest list grows; the 22-inch expandable leaf will accommodate a large number of people comfortably while scroll back chairs add height and softness.